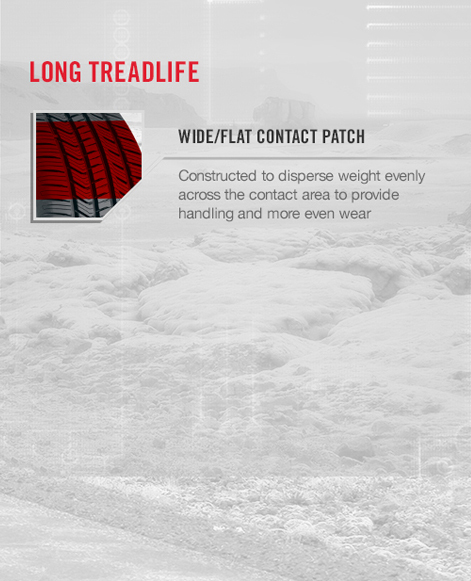 A technological innovation built from ground up to handle today's luxury sports crossovers. 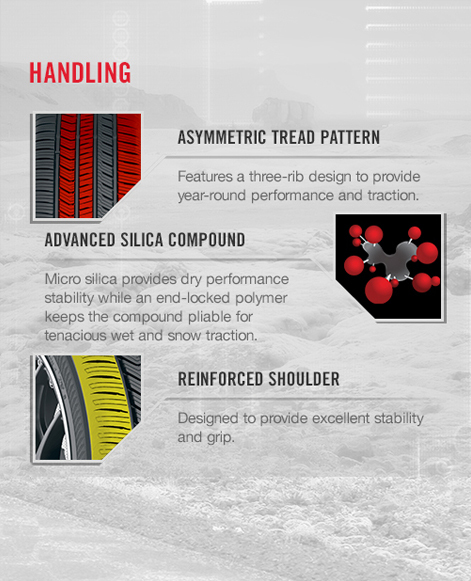 With a belt package specifically constructed for the luxury compact crossover and SUV, the GEOLANDAR X-CV provides precise handling and stability. 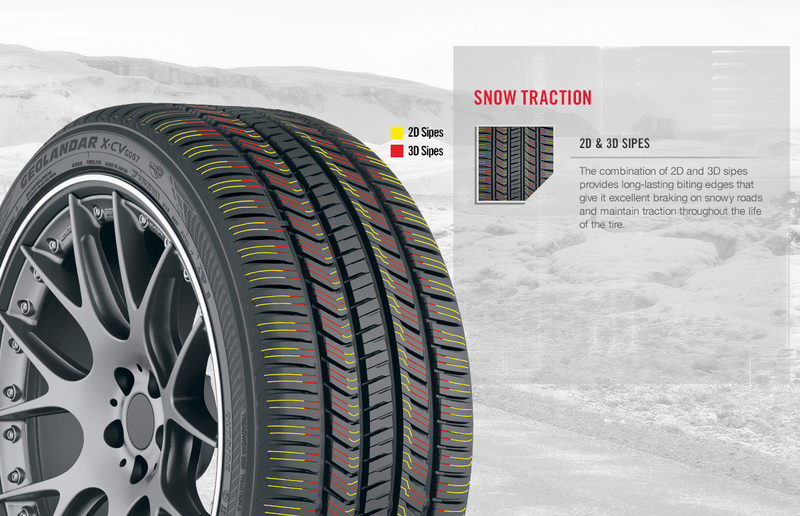 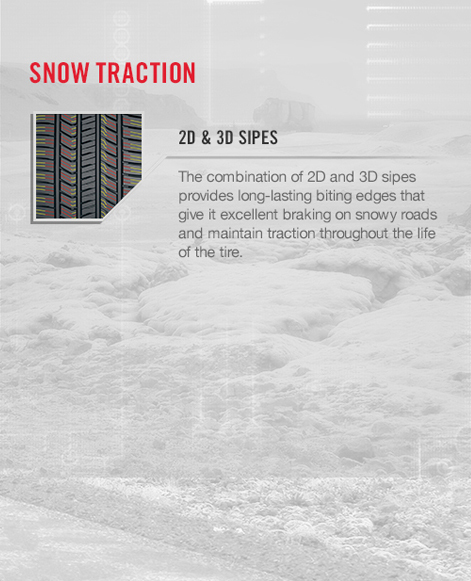 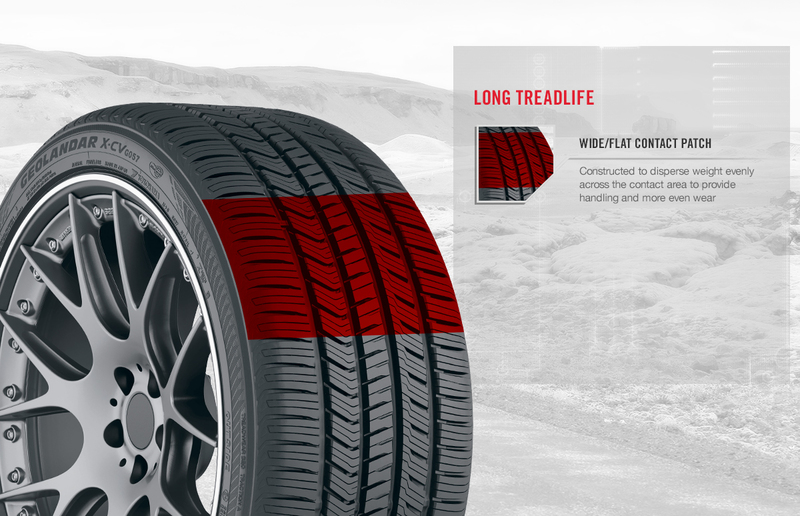 Specially designed tread pattern with wide circumferential grooves and a combination of 2D and 3D sipes provide confident traction on wet roads. 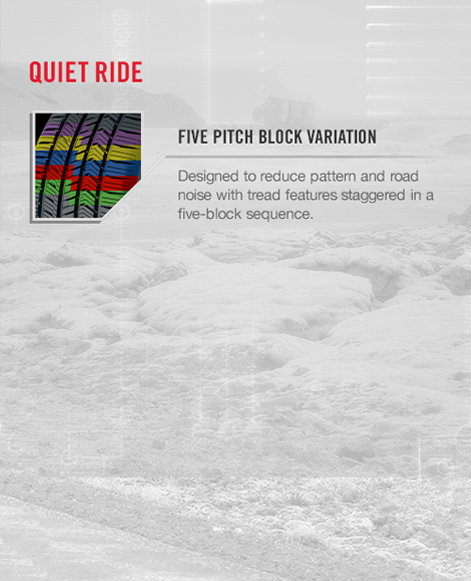 The staggered five pitch block variation reduces pattern and road noise for a smooth and quiet ride. 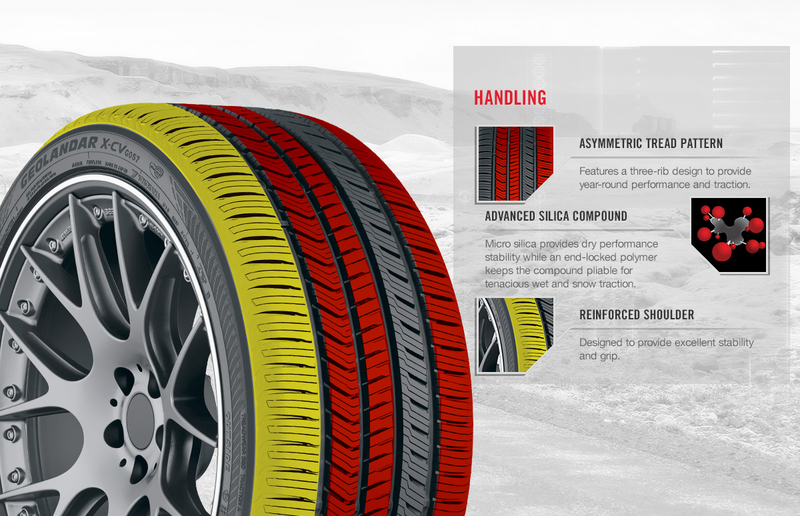 A wider footprint and new Advanced Silica Compound promote long-lasting, even wear. The GEOLANDAR X-CV was built from ground-up with technological advances to take on today's luxury sport crossovers and gives you exactly what you are looking for - optimized all-season performance with powerful wet braking all with a refined, quiet ride.